Ragni Philadelphia Brick Trowel 11"
Trowel with 1.6mm carbon steel blade. Thickened tang diameter for greater strength. Hardened and tempered ground blade applies mortar easily. Soft-grip handle. 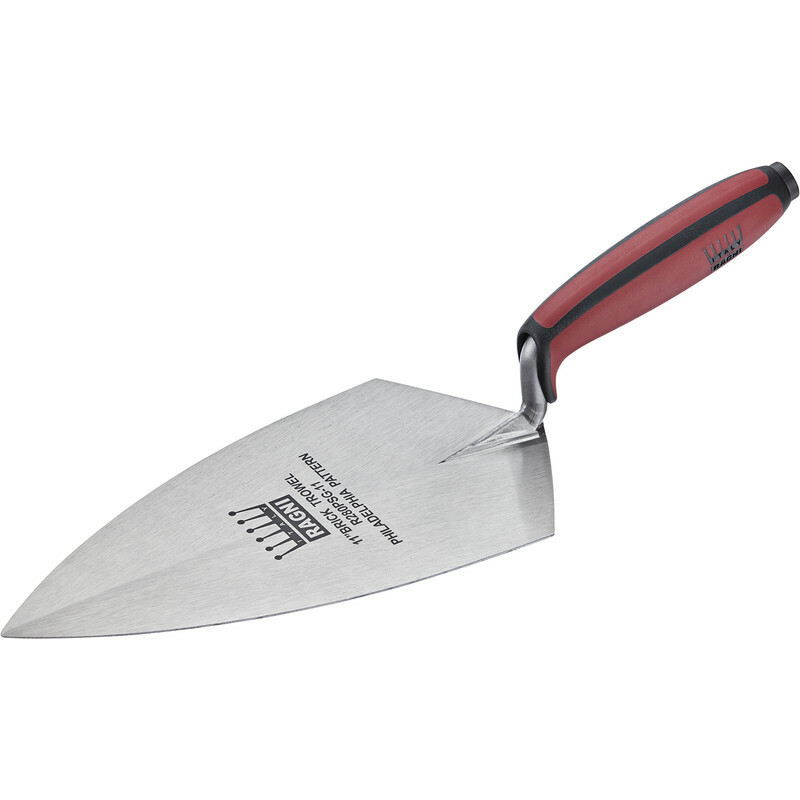 Ragni Philadelphia Brick Trowel 11" is rated 4.5 out of 5 by 6. Rated 4 out of 5 by Dylpia from More than exceeds the needs of a DIY'er This is such a well made and balanced trowel. Didnt take long at all to get to grips with its weight and balance. Used an OX previously and wasnt as nice as this. Horses for courses I guess. Fitted and felt perfect for me. Rated 5 out of 5 by Chazzer from A Quality Product I'm a DIYer wanting to improve my bricklaying skill. An expensive Marshalltown seemed a little exessive for me so I went with the RAGNI model instead. I could not be happier. This trowel is well made and feels very comfortable. My ability is improving rapidly. Next I may treat myself to the RAGNI pointing trowel. Rated 5 out of 5 by Spotty from Bargain Great trowel at a great price. Rated 4 out of 5 by mds03 from good make trowel good trowel price bit more than want pay but this better make.not used yet have for when need,so should be fine for job.feels ok to handle. Rated 5 out of 5 by Samfixer from Raining brick trowel Bought this to replace my old trowel very happy with it nice and light but very strong.